HomePhoria Radio 002 w/ Niko Zografos tomorrow! 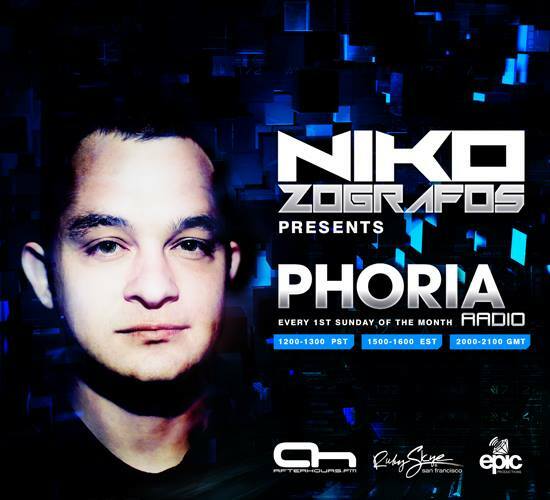 Phoria Radio 002 w/ Niko Zografos tomorrow! This Sunday we will be having the second episode of #PHORIARadio on Afterhours.FM. So make sure you tune in at noon tomorrow for some top notch trance with Mr. Phoria! Tracklist will be upload soon after the airing of the episode. ← Phoria present Nadia Ali + Thomas Datt and Genix + Sunny Lax Plus Limited Guestlist!! !